I’m about to head out the door to Amelia Island, Florida, where tomorrow morning I will do a talk for a small group of senior executives from the insurance industry — both property & casualty as well as life insurance companies. 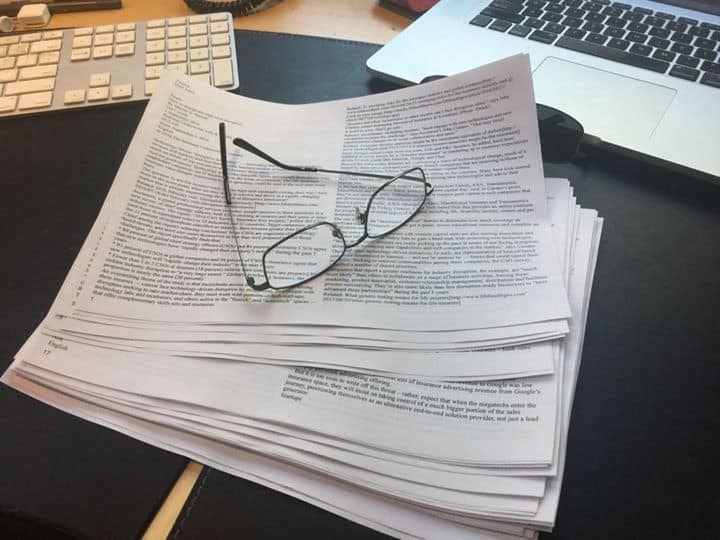 As with most talks, there’s been an extensive amount of research — conference calls with the client, not to forget 479 highly-specific articles on trends impacting the insurance industry. What’s involved in building a great keynote? Detailed research, such as these articles on the future I’ve insurance that I’m reading through. If you want real insight on future trends and opportunities for innovation that are specific to your industry, give me a call. On the flight down, I’ll fine tune my presentation, and wade through these articles once again. “2/3 of insurance CEOs see tech as both opportunity & threat” -from a PWC study. (Of course, it makes me wonder — are the rest asleep? This ties in with other specific, detailed research I’ve undertaken, not to forget the fact that in the last few years, my keynotes have involved audiences that have included the CEO’s of most major North American and global insurance companies. My keynote includes observations from a session I did in Philadelphia that included a private one-on-one with the CEO’s of the top 10 P&C companies in North America. 10 years ago, I had the CIO’s for the top 15 P&C/life companies in for a private meeting that went on for two hours. People book me because they want real insight . And that’s the reputation I’ve built in the industry — specific, detailed, information and statistic rich presentations that don’t offer motivational pap — but real concrete guidance on strategies, opportunities, challenges and innovation. If you want real insight on future trends and opportunities for innovation that are specific to your industry, give me a call. We can talk about the specific ways in which I can help.